The construction is to be built according to the drawing with rules of good workmanship and to be built the longitudinal frame system. 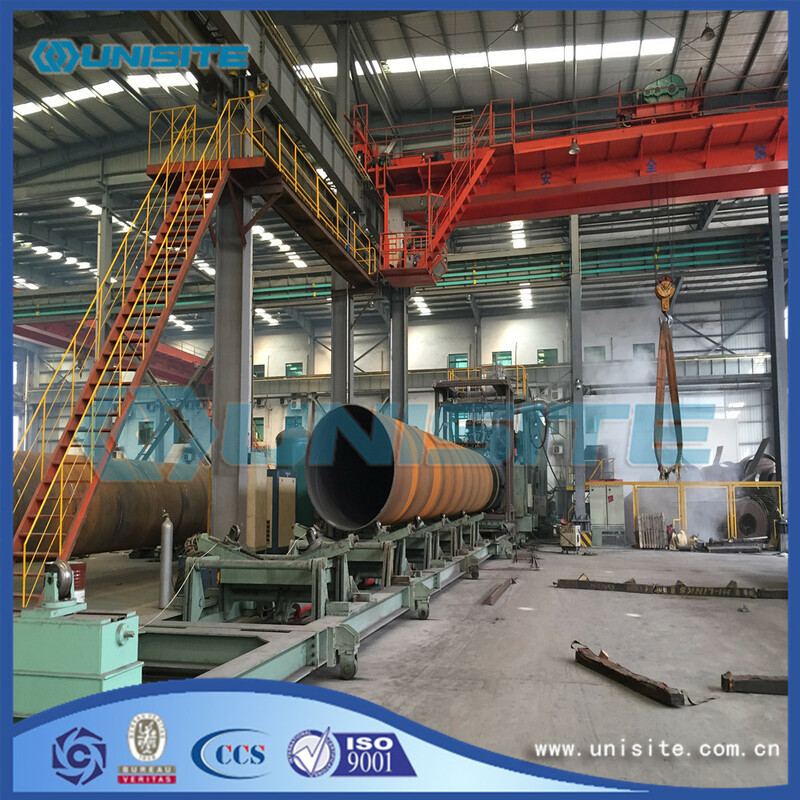 The construction is of rolled Steel Pipe sections with varying wall thickness, from40mm to 150mm, which are carefully manufactured and checked to ensure roundness, straightness, segment connection deflection within the specific tolerances. 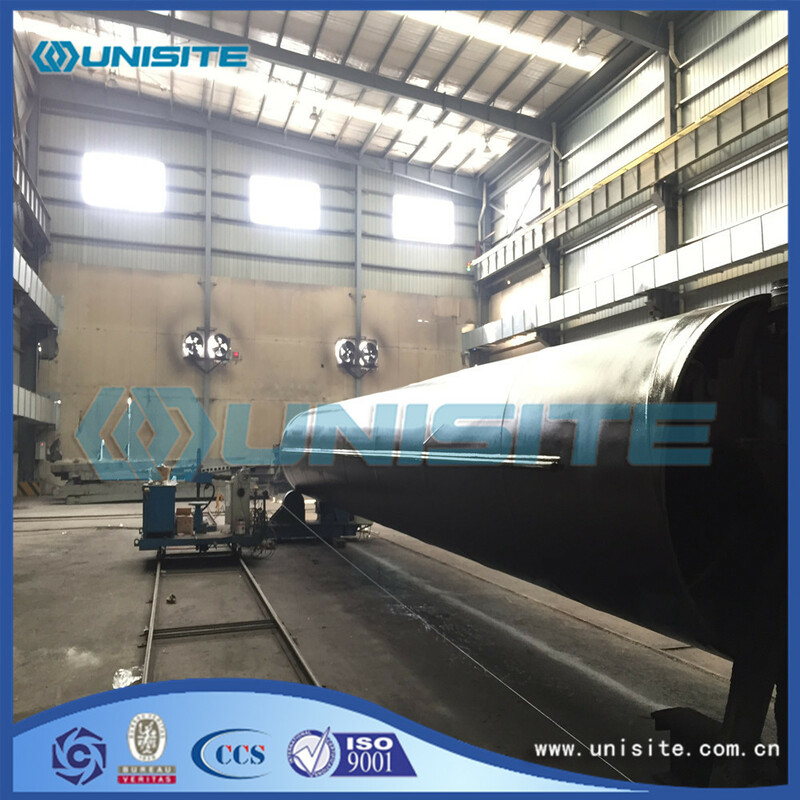 All welding will be performed in accordance with drawing and order and UniSite experience and all welding will be continuous and full penetration. Welding seam preparation, welding method, welding material and consequent preheating temperature acc. to UniSite standards and approved by clients. Weld surface on the outside spud surface are to be grinded flush. All welding to be examined UT and some to be examined X-ray. 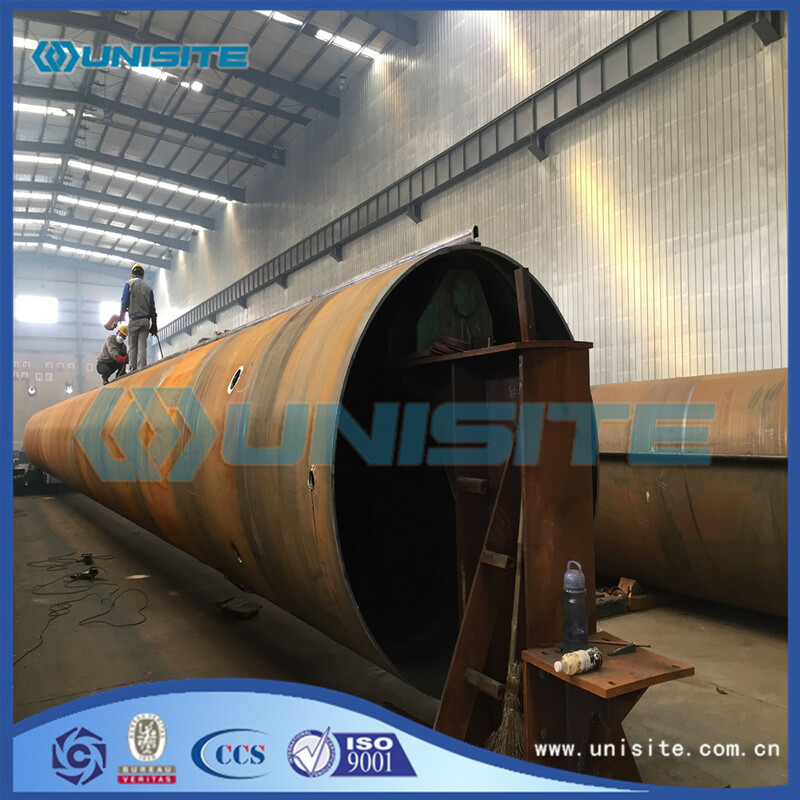 Besides above the general specifications, we can also supply some specific spuds and other similar steel structure as clients' requirements. Looking for ideal Steel Spud Pipe Manufacturer & supplier ? We have a wide selection at great prices to help you get creative. All the Steel Spud Pipes are quality guaranteed. 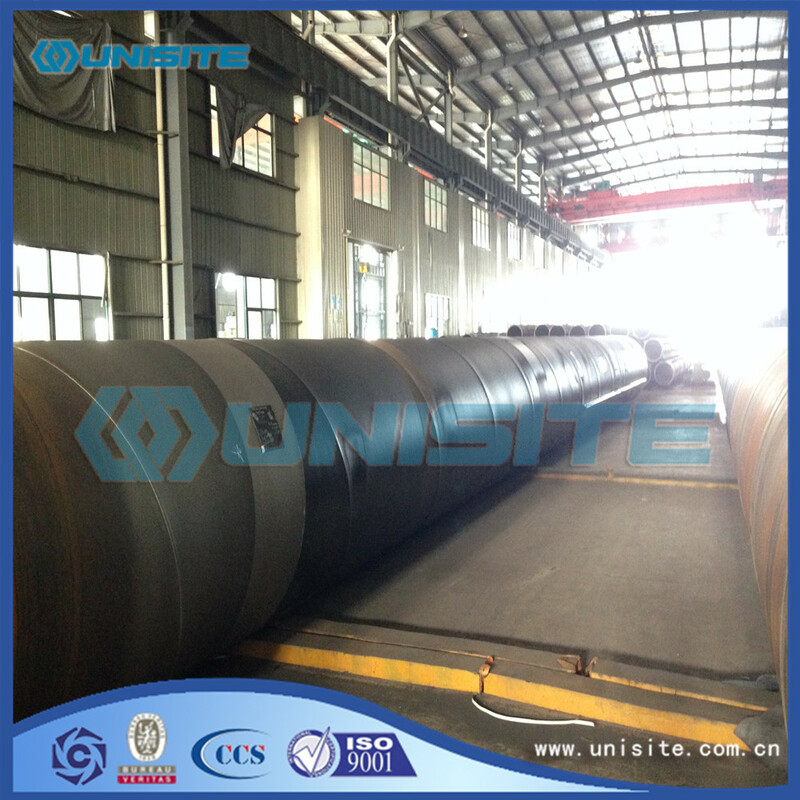 We are China Origin Factory of Steel Spuds Pipe. If you have any question, please feel free to contact us.